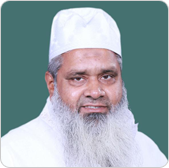 Maulana Badruddin Ajmal has been a student of the Darul Uloom Deoband which is recognised all over the world as the centre of the nationalist religious organisation, Jamiat Ulama-E-Hind. He came into close contact with this organisation in his student life and his association with Jamiat continued even when he completed his study at Deoband. In 2002 he was entrusted with the responsibility of the presidentship of the Assam State Jamiat. 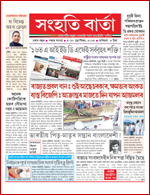 Maulana Ajmal was also entrusted with the responsibility of the forming a political party by the Jamiat to fight for the causes of the downtrodden communities of Assam. In case of Manmohan Sing it has been said that he became the Prime Minister of India 'accidentally'. The same can be said in case of Badruddin Ajmal also. He also had to join politics all of a sudden. He never dreamt to be a political leader. But in 2005, the AIUDF was to be formed in a crucial moment by the marginalised communities of Assam and he was entrusted with the duty of leading the party. Badruddin Ajmal was born in a village named Alinagar, Hojai on 12th February, 1950. He is the third son of Haji Ajmal Ali and Moriumnessa. He started his primary education in Assamese medium in Hojai. Then he went to Mumbai and studied in an English medium school there. After passing class eight standard from that school, he joined Darul Uloom Deoband and completed his education from that institution. Unlike other politicians, politics is not his profession, yet Ajmal has been very successful in the field of politics. AIUDF had been able to won 10 seats in the Assam Legislative Assembly Election of 2006, six months after the formation of the Party. The able and efficient leadership of Badruddin Ajmal was one of the reasons for this great success. In the Assembly Election of 2011, his party was able to win 18 Assembly seats. According to some of the political observers, AIUDF will be able to win more seats this time (2016) than in the Assembly Election of 2011.According to a survey by the 'Outlook' in 2013 Badruddin Ajmal has been the most influential person of Assam for his continuous success in the political field.